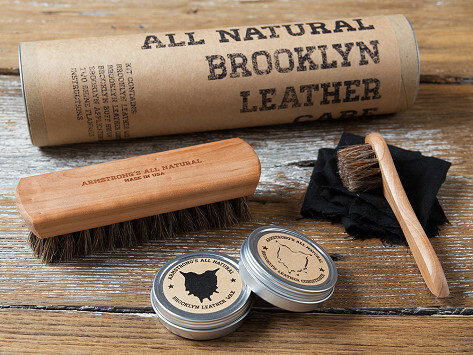 Wax, brush, shine, and give your leather the best possible treatment with this full-fledged all-natural leather kit. 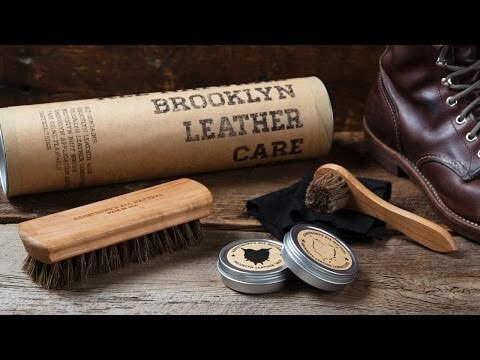 Everything from the recyclable packaging down to ethically gathered beeswax and organic carnauba wax is free of silicone and petroleum derivatives. In addition to the wax and conditioner, the kit includes a pair of high-shine flannels, a fine horsehair buffing brush, and application dauber—so you’ll be polishing, shining, and nourishing like a pro. Dimensions: 3.1" diameter x 12"
Very nice packaging and my husband loves this! Good items! Brushes are good quaility!